When we set out to design an innovative new water filter we quickly realized that everything on the market was too restrictive and limiting to the end user. It felt like we had to design our activities around the filter device. In order to fix this, we had to break the status-quo. Every experience, every product has the potential to be designed better. 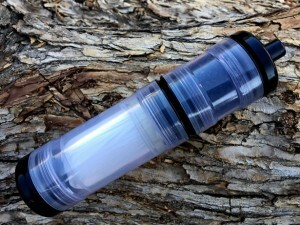 There are many water filters on the market that are designed around one primary use case. 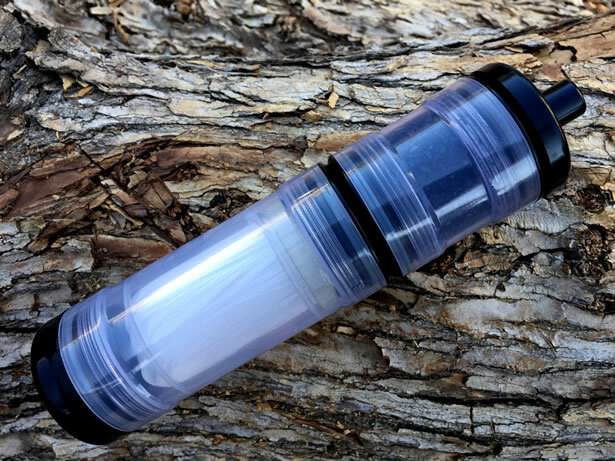 Whether someone is camping, hiking, traveling, doing yoga or preparing for the end of the world, there is a water filter specifically designed for that use. All those water filters are one trick ponies that do one thing really well. But active individuals don’t just do one thing; so, why should a water filter just do one thing? The Oasis is not a just a water filter, it is a system that fundamentally challenges our perception on water enhancement.The Oasis is easy to use, beautifully designed, and remarkably adaptable. 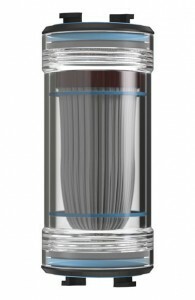 The Oasis system is comprised of modules, each filled with the newest water filter technology. Modules are combined to address specific water quality issues or activities. The key element that makes the Oasis so unique is the patent pending genderless interconnect. Each module uses our patented genderless interconnect that allows a user to interchange modules with ease. 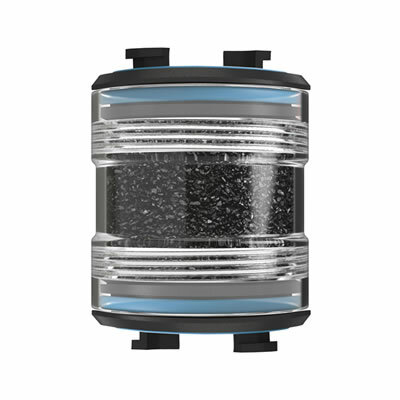 The small, lightweight and simple design of the Oasis, combined with the various filtration modules, makes the Oasis the most adaptable filtration system on the market and frankly, the only one of its kind. Help Fund the Future of Renovo’s Oasis! After watching the online video, I already had a pretty good idea of what the Renovo Oasis Filter looked like and how it worked. But it wasn’t until after I opened the box and saw the filter system for myself that I became really impressed. Each component appears to be very well-constructed from high-quality plastics, seals and filter media, though the configuration that I am testing here is just a prototype… The dimensions and materials used may be slightly different in the production release. The Oasis utilizes Renovo’s new patent-pending genderless interconnect which provides a simple, flexible and effective method of interconnecting each of the modules and adapters together allowing you to completely customize the configuration to suit your needs within a few seconds. The Oasis parts are manufactured in many countries including Korea, Taiwan, China, and the United States. They have rigorous quality control measures and independent testing to ensure they can provide a product that people can depend on. Final assembly and most of the manufacturing will be completed in the USA. The larger module that came with the kit was the HF Module (hollow fiber membrane), which in its current form is a rigid semi-clear tube with a genderless interconnect at one end, and a B28 threaded adapter on the other. It is approximately 1.85″ in diameter and about 4″ long and contains hundreds of hollow tubes that looks a lot like a bundle of heavy cotton thread. These fibrous tubes have a porous membrane that allows clean water to pass through, while preventing contaminants from passing through. At 0.1 microns, the hollow fiber membrane will block nearly all bacteria, protozoa, and cysts from entering the membrane including E.Coli, Giardia, Cryptosporidium, Cholera, and of course sediments. As a result, the HF Module is perfect for filtering water from lakes, rivers, streams, and other questionable water sources. The HF Module is designed to process up to 100,000 gallons and can be backflushed as necessary by flushing clean water through the opposite end of the filter to clear the pores of the membrane. Hollow fiber membranes can work at various temperatures, though the filter membrane can become damaged if left to freeze. 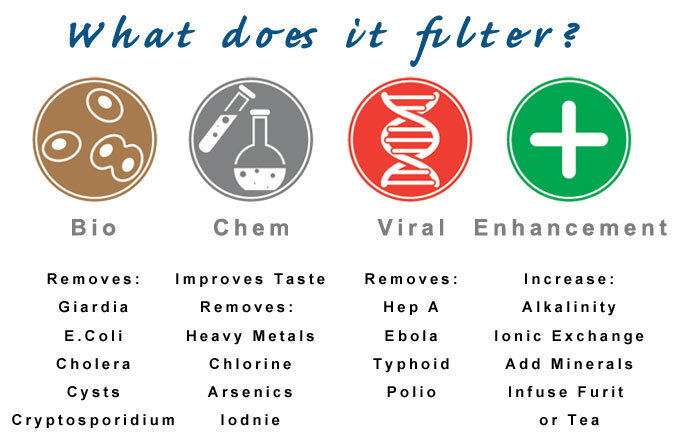 Replacement filters should be available and are expected to cost around $10-$15 each. The smaller module included in the kit was the AC Module (active carbon). It too is a rigid semi-clear tube, but with the genderless interconnect at both ends. 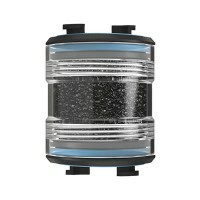 It is approximately 1.85″ in diameter and about 2″ long, and filled with Granular Activated Carbon (GAC) to filter and improve the taste of water. Renovo sources their activated carbon sustainably from burnt coconut shells instead of coal based carbon. Activated carbon removes chlorine, arsenic, mercury, bad taste and odor through absorption of the contaminants in the water. Under normal conditions the activated carbon should filter up to 150 gallons, lasting one person about 4 months with everyday use. Replacement media is expected to cost somewhere around $3-$6. The Nanolum module is the most diverse filter medium in the Oasis system. However, I did not receive one of these filter modules with my prototype so I can only mention what I little that I do know… The Nanolum filter media is based on technology designed by NASA. It is approximately 1.85″ in diameter, about 4″ long, and will have a genderless interconnect on at least one end. The module consists of a pleated, non-woven water filter paper infused with activated carbon that has a strong positive electrostatic charge when wet. The result is a combination of high-tech absorptive materials that allow the Nanolum to attract and trap nearly all organic contaminates. Nanolum Modules are designed to filter viruses like Hep A, Typhoid and Ebola, bacteria like E.Coli and Giardia, and protozoa like Cryptosporidium and Cholera. It will also filter chemicals like Chlorine and Arsenic, and heavy metals like Mercury and Lead. The downside to such a fine filter element is that it will only filter approximately 150 gallons before it needs to be replaced. However, replacement are expected to be available as low as $15-$20 each. The Infusion Module will be available in both the 2″ and 4″ sizes and can be filled with many different types of water enhancers including Tea, Fruit, ORP, Alkaline, Negative Ion, and virtually anything else you can think of. Some of the additional accessories that will be available include a pump, water bottle and bladder reservoir as well as some attractive stainless steel tube options. 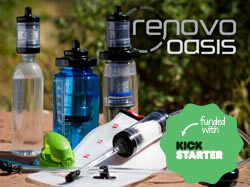 At the time of this article, Renovo has been running a Kickstarter Campaign to crowd-fund the project. If you want to get involved, please drop by there are have a look. Renovo is offering some pretty incredible gifts for those who support the campaign. With all of the filter challenge videos out there demonstrating drinking toilet bowl water and urine, I decided that I was not going to perform that test myself without the Nanolum Module. Though I did want to perform a safer test that could at least demonstrate the effectiveness of this filtration system with the modules that I did have on hand. 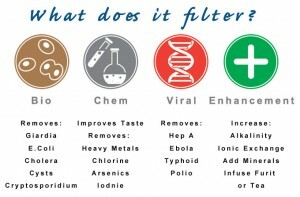 Aside from drinking tap water from the filter with positive results… My local tap water tastes horrible no more, but I needed a way to really test out the filter. Since I did not have an stream available nearby to pull water from, I opted to run a bottle of Gatorade that I had in the fridge through the filter with the AC and HF modules. I attached the tube adapter and a short section of clear food-grade tubing to the filter and began drinking. The fluid that was coming out of the filter was completely clear, but it still had a hint of Gatorade’s “Glacier Freeze” flavor. As a result, I could tell that most of the ingredients that were in the Gatorade had been removed, but not enough to remove 100% of the flavor. I’d really like to test the Nanolum filter with this in the future, and then maybe I’d consider doing the toilet bowl challenge with it as well. While I was testing the filter with a water bottle, the prototype lid adapter did not include a vent so I was not able to drink directly from a water bottle due to the vacuum. However, I’ve been told this issue had been corrected in the newer prototypes. I am truly impressed with the overall design, construction, modularity and functionality of the prototype… And I know it will only get better as the feedback floods in and the project comes to fruition. The filter modules are a little heavy. It would be nice if the unit could be at least a few ounces lighter. The filter unit is rather large. It would be nice to see the filter lose some of its length and girth. The filter modules are very rigid. I am afraid they could shatter if they were dropped from more than a few feet. The filter unit needs some sort of zippered carrying case to hold all of the modules, adapters and accessories, keeping them clean and organized. 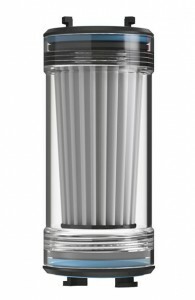 The various filter modules and accessories that will be available really set this water filtration system apart from the rest. In the end, I have no doubt that it will be a quality personal water filter capable of providing safe drinking water your way, anywhere in the world. In fact, I believe in this filter so much that I have personally committed to backing the Kickstarter. Will you? As humans we have a tendency to try to change and improve our interaction with the world around us. Regardless of race, color, heritage, and country we all want our children to have a better life than our own. It is the persistent search for betterment that lead to the creation of Renovo Water, a water lter company. We at Renovo Water have the simple goal of improving the way everyone experiences water. Water is life. Our experiences and research lead to the development of the Renovo Trio, our first water filter product that paved the way for the Oasis, our newest filter system. Like in life, we at Renovo Water learned from our past experiences and with the feedback of thousands of customers we were able to design not a new water filter but a system. A system that is as diverse as the people who will use it. It is our passion to create a better experience that lead to this new innovation.